Eurofins IT Solutions India (EITSI) is a full owned subsidiary of Eurofins Scientific Services. 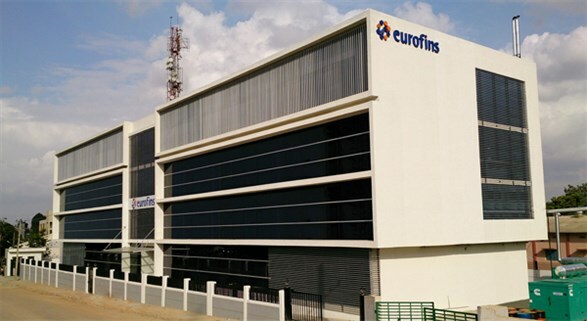 With over 650 employees, EITSI (Eurofins IT Solutions India Pvt Ltd) is the largest IT Services group serving Eurofins Group of Companies world-wide. EITSI is an in-house Global Competence Center, having achieved CMMI Level 3, providing Product Engineering Services and IT Enterprise Services. Also, member of NASSCOM since 2013. User Experience (UX) & User Interface (UI) Engineering. "To become the most respected IT Solutions & Services group within Eurofins through world-class delivery. Focus on quality and result oriented products and services, where the best in the industry want to work for the job-satisfaction and professional growth". To create and provide world-class, high-quality IT Solutions and Services with a special focus on next generation LIMS. To hold the customer's interests paramount and provide ethical and cost-effective services in the most transparent manner possible. To employ people who love the job, possess a zeal to learn and innovate, pride themselves on their quality, believe in teamwork and mutual growth. To get in touch with us or for directions to our office, please visit our Contacts Page.